Each year the sanctuary recognizes a Volunteer of the Year. The sanctuary's Volunteer of the Year is recognized during Capitol Hill Oceans Week and is also nominated for the National Marine Sanctuary Foundation's Volunteer of the Year award. Take a moment to find out more about the Hawaiian Islands Humpback Whale National Marine Sanctuary's Volunteer of the Year recipients. Jason Moore is a highly skilled professional photographer who exhibits his photography and artwork in galleries around Maui. 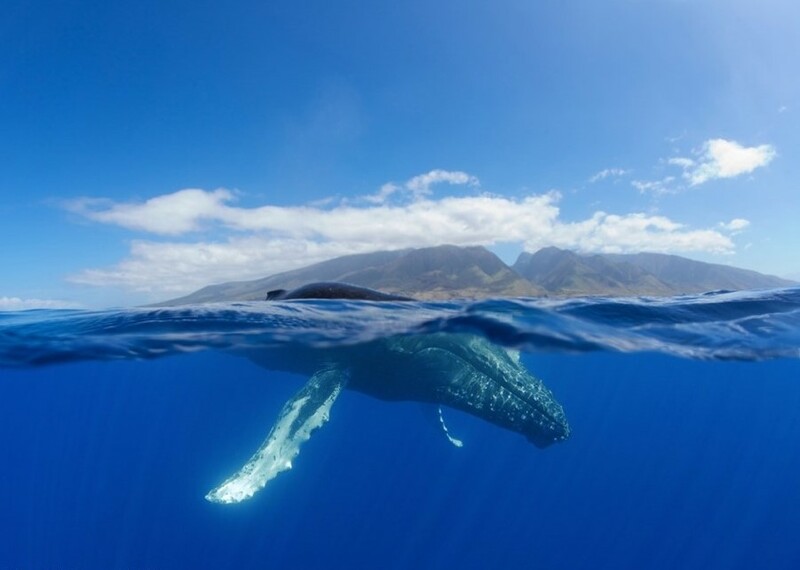 One of his research-obtained images, a humpback whale off Maui seen above and below water, was selected and is featured prominently as a nearly a life-sized image in the public exhibit space at the NOAA’s Inouye Regional Center on Ford Island, Oahu. Jason uses his artistic eye and extraordinary skill and talent to capture the natural world by camera and often contributes his own funds and art to support outreach efforts to raise awareness of the need to protect and conserve humpback whales. He began as a volunteer with the large whale entanglement response network over 6 years ago and has been with the sanctuary as a volunteer ever since. Jason Moore has contributed a great deal of his time, expertise, funds, equipment, and passion to the sanctuary’s research, response and outreach efforts. While serving predominately as the lead photographer to assist the sanctuary in obtaining assessment images for its humpback whale monitoring program and documenting sanctuary response and research efforts, he has also volunteered to assist as a responder during large whale entanglement response efforts, served as a research assistant and crew member aboard the sanctuary research vessel and supported efforts to collect biopsy samples. To date, Jason has participated on over 70 research trips and 6 response efforts, accounting for nearly 700 hours alone, but his commitment and support go well beyond. He has attended nearly every response training provided to date and has taken on more and more critical roles and assisted whether rain or shine. He is not a fair weather volunteer! Jason continually invests in new technologies that strengthen the Sanctuary’s research and response efforts. His contributions have provided the team with invaluable data and his willingness to assist less-knowledgeable photographers, researchers and crew enhances everyone’s success. Jason’s imagery has also raised the profile of the sanctuary because his work is instrumental in articles featuring the sanctuary in prominent magazines such as Maui No Ka Oi, Kanaapali Magazine, and the award winning Hawaiian Airlines magazine, Hana Hou (English and Japanese versions). His donated image of a life-sized whale that is featured prominently at NOAA’s Inouye Regional Center on Oahu has attracted a lot of interest for the sanctuary from the large number of visitors who pass through the facility every day. Jason Moore’s Fine Art Photography reaches broad audiences as he often exhibits his work in prominent galleries across Maui. Efforts are underway to seek permission to sell images that he obtained under permit with the majority of funds raised going back to support the sanctuary’s disentanglement program. Jason’s images currently contributes to the sanctuary’s research and response goals. He allows his work to be used by the sanctuary not just to photo document sanctuary research and response but also to support outreach efforts to raise awareness of the national marine sanctuary system. His efforts have warranted co-authorship on several presentation abstracts to date. As described above, he allowed the sanctuary to prominently feature one of his images in the public exhibit space in the NOAA Regional Facility in Honolulu. As an artist, Jason has extensive reach and uses his work to raise awareness about the ocean and environmental issues which can evoke emotions and engage people in a very deep and personal way. Jeanne Dunning of Maui, who prefers to be called “Jeep”, found the sanctuary through her love of humpback whales and her enthusiastic desire to learn more about them. After becoming a sanctuary volunteer when she joined along with her husband eight years ago, Jeep’s passion steadily deepened as she explored new ways to help the sanctuary’s mission and share with others about humpback whales and other protected marine species to the point that she has become our most active and generously giving volunteer in each and every one of the many programs of which she is a part. Giving has long been a part of her personality as she is retired from a dedicated career in nursing. Jeep is an avid snorkeler, reef fish identification expert, SCUBA diver, knitting hobbyist, craftsperson, wife, homemaker, yoga practitioner and mother of an adult daughter. Jeep volunteers weekly in the Kihei Visitor Center as a Docent where she accurately provides visitors with a wealth of information about the sanctuary and the protected species found in its waters in friendly, knowledgeable and engaging ways. She mentors new docent trainees, energetically restocks handouts, tidies up and completes gift shop sales. Jeep schedules our “45 Ton Whale Talk” volunteers for multiple talks each week and impressively delivers many of the lectures herself. Jeep also devotes time each week to outreach activities at partner sites, teaches other volunteers proper techniques, organizes and restocks outreach bins, and designs, fabricates and artistically completes learning tools for outreach events. 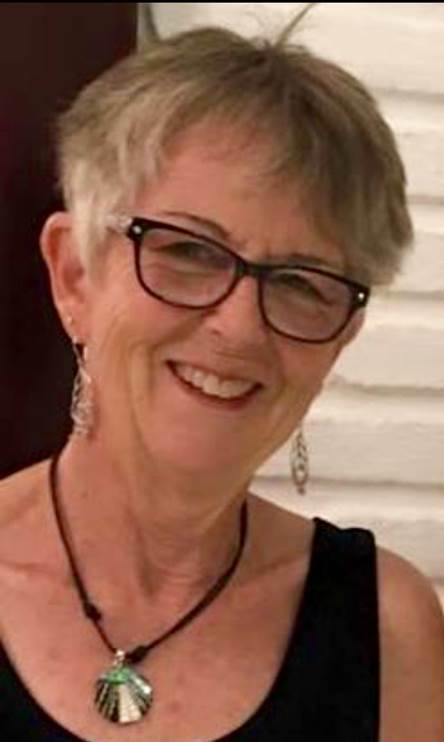 Jeep Dunning was a charter member that formed our site’s unique “Volunteer Council” with the mission of providing leadership for other sanctuary volunteers on Maui and served four years, until its recent termination. Her role was coordinating, scheduling and leading the many volunteer outreach activities up to and through FY2015. She is a shining example of volunteerism. She wears her sanctuary “uniform,” identification tag and recognition pins proudly, delivers sanctuary system messaging consistency, engages visitors from other regions with sanctuaries then encourages them to learn more about their neighbor sites by visiting them. Jeep enthusiastically welcomes all guests and gives them a positive impression of the sanctuary system as a whole. Robyn Walters has been serving as a sanctuary volunteer on the island of Maui for the past 4 years. Robyn has provided tremendous support to the sanctuary in many levels including administrative support, as a public sanctuary lecturer, school group educational activities leader, visitor center docent, meeting organizer, volunteer trainer, citizen science participant and leader in the areas of marine debris monitoring, water quality monitoring, and turtle stranding response network duties, as well as being a community outreach participant and leader at public venues, at ocean-related events, and on partner whale watch cruises. Robyn is also a founding member and is currently serving as chair of the Maui sanctuary volunteer council. This volunteer council is a group of dedicated and hardworking volunteers who formed the council to organize Maui sanctuary volunteer programs education, outreach, citizen science, and visitor center interpretation. Robyn demonstrates excellent leadership and guidance for all of our volunteers. She provides many, many hours of mentoring and training to volunteers and is seen by staff and volunteers alike as an ideal role model. 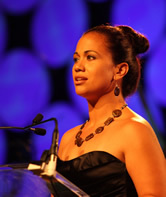 Trisha Kehaulani Watson currently serves as the Native Hawaiian representative on the Sanctuary Advisory Council and was instrumental in establishing the council's first Native Hawaiian subcommittee. The council played a critical role in the sanctuary's management plan review process by forming working groups to address priority issues. Kehau was selected to serve as the chair of the council's Native Hawaiian cultural working group and successfully navigated an extensive process to consult with cultural practitioners to develop a set of management recommendations. Kehau took the lead to bring together a diverse group of experts to discuss the ways to effectively incorporate Native Hawaiian cultural management practices and Western scientific knowledge into the management approach for the sanctuary. Participants of this workshop produced the Aloha ʻĀina Guidance Document that was intended for resource management agencies to honor their respective kuleana (responsibilities) to resources and communities. After review by the Native Hawaiian and Research Subcommittees, the guidance document was presented to the entire Sanctuary Advisory Council in September 2012. The council voted unanimously and enthusiastically to send the Aloha ʻĀina Guidance Document forward to sanctuary management for consideration in the management plan review. Additionally, the council advised that the document be used as a basis for both a handbook and trainings for conservation managers. 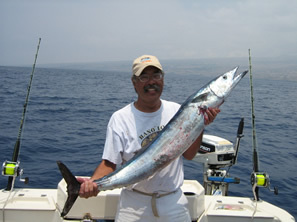 Phil Fernandez serves as the Fishing Representative on the Hawaiian Islands Humpback Whale National Marine Sanctuary Advisory Council. This past year, Phil spent countless hours leading the efforts of the council's Offshore Development Working Group to develop recommendations to inform sanctuary management on emerging issues facing the State of Hawai'i including alternative energy production and offshore aquaculture. Phil also served on a steering committee to organize a 3-day workshop to solicit input on the future of aquaculture in Hawai‘i. The steering committee met over a 6-month period to develop a workshop that would provide an opportunity for a diverse group of stakeholders to discuss issues relative to aquaculture in the sanctuary, build relationships, and promote future collaborations. Phil has been a dedicated volunteer, serving the sanctuary through his efforts to protect cultural and marine resources while ensuring that subsistence, recreational, and economic benefits of the sanctuary are considered. Jean Ogawa's decade-long contributions have helped ensure the successful execution of countless sanctuary activities and events on Kauai. She has been the driving force in fostering a strong relationship with students and with the Girl Scout program for 11+ years, and continues to ensure that the sanctuary's programs are relevant to its community. She has also been a catalyst for and leader at beach-based student workshops and other activities for the King Kaumualii Elementary School to encourage ocean stewardship. Jean is actively participating in the management plan review that the sanctuary is currently undertaking. She not only assisted with coordinating public information meetings, public scoping meetings and other hearings, but Jean regularly participates and engages in public comment meetings. She is a strong advocate of sanctuary programs, emphasizes local education needs and is a supporter of expanding the sanctuary's education program. As a formal educator, Jean's contribution to the program is a valuable source of knowledge, in particular for the proposed Kauai NOAA/Sanctuary discovery center facility. Bill Friedl has volunteered with the sanctuary for over 10 years. In the past year, Bill Friedl served the Hawaiian Islands Humpback Whale National Marine Sanctuary as Chair of the advisory council, Chair of the council’s Executive Committee, and an active member of the council’s Change Solutions Working Group. Bill has shown exceptional leadership in facilitating the discussions and actions of a very diverse 31 person council comprised of state and federal government agency representatives and stakeholder representatives for various community groups and interests. In addition, Bill commits his time to support the sanctuary’s outreach and education efforts. Over the last 10 years he has been an enthusiastic site leader for the annual Sanctuary Ocean Count, the signature project of the sanctuary. For this and other events he is a great support to the sanctuary, helping to educate community members about the humpback whales and ocean protection. He is a well-rounded source of knowledge for issues concerning the sanctuary, humpback whales, and ocean conservation in general and his support at public events is a great asset. 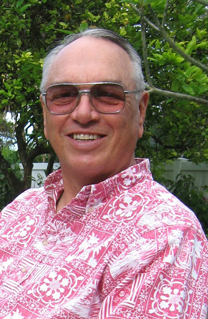 Bill Friedl has provided exceptional leadership and program support through countless hours of volunteer work over the many years of his relationship with the Hawaiian Islands Humpback Whale National Marine Sanctuary. He has been a friend and colleague, an advocate, and when necessary, a voice of reason since designation. Bill is a true visionary and steward in marine resource management and ocean conservation and for that reason, those mentioned above, and many more, we at the Hawaiian Islands Humpback Whale National Marine Sanctuary feel that he is a very worthy of being named the 2009 sanctuary Volunteer of the Year. Husband and wife team Skip & Gloria Snyder have volunteered full time with the Sanctuary for over eight years. They have helped develop and run education programs in our Education Center with students of all ages and they routinely assist with all aspects of community outreach events. In fact, Skip and Gloria were also very involved in the International Year of the Reef Community Outreach stations the Sanctuary and county of Maui sponsored last year. They manned information stations weekly and promoted reef stewardship at various beach/reef locations throughout Maui. Also, during whale season, they continue to represent the sanctuary at Whale Information Stations, educating visitors about Hawaii’s magnificent humpback whales. Skip and Gloria also give our weekly “45 Ton Talk” to visitors in the education center and volunteer on our marine turtle stranding team where they respond to sick or injured turtles. 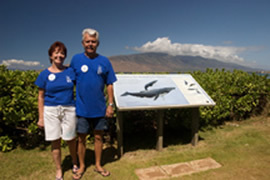 More recently, Skip and Gloria established the Friends of the Humpback Whale, a non profit organization to support the education and outreach efforts at the Maui site. They have raised thousands of dollars to help support our programs for which we are greatly appreciative. Together they contributed over 1500 hours of volunteer service in 2008. In addition, Skip and Gloria have inspired other volunteers to give generously of their time and serve as leaders. They have been able to expand the reach of the sanctuary into our local community - the Hawaiian Islands Humpback Whale Sanctuary would not be able to reach the number of people we do without the support of these two dedicated volunteers. Bob began with the Sanctuary during the winter months (whale season) when he was living in Maui. Bob assisted in giving twice weekly “45 Ton” Whale talks at the Education Center, helping assist the public who visited the Ed center, assisting staff at Outreach Events and with education programs. Bob decided to move to Maui permanently in 2006 and for the last year and half has done a tremendous amount of work for us. Bob has been coordinating the volunteer whale watch schedule which has been a major undertaking. In addition to participating in the onboard whale watch volunteer program himself, he coordinates the program, emails out schedules, coordinates time slots with volunteers and the whale watching company, troubleshoots volunteer issues and acts as a liaison between the whale watching company and the Sanctuary’s Volunteer coordinator. This volunteer whale watch coordinator position easily logs 20-30 hrs/week  a sizeable amount of volunteer work in addition to all of the other programs he participates in. Bob also assisted in updating the “45 Ton” Whale talk to a power point presentation and continues to give the presentation twice a week in the Education Center. Bob also volunteers one day per week at the Sanctuary’s outreach information station at the Maui Ocean Center where he talks to visitors about whales, helps them site activity on the water and provides sanctuary outreach information. Bob is also great with kids groups and helps with education programs geared for all ages. Bob Ragains contributes more volunteer hours at the Sanctuary than some staff and is always smiling, and learning as much as he can so he can better promote the National Marine Sanctuary Program. Bruce has participated in the annual Sanctuary Ocean Count since 2002 and, since 2004, has taken on leadership responsibilities in a number of sanctuary activities including serving as a site leader during the 2006 Brown Bag with Whales, a lunchtime shore-based whale watch and leading an activity booth at the annual Kaua`i Family Ocean Fair. Also, during the 2005 Hawaiian Monk Seal pup-sitting at Poipu, he was one of the Sanctuary’s assistant volunteer coordinators and lead volunteer trainer, helping to ensure that the pup of this critically endangered species was given a chance to successfully wean. During the 2004 Hawaiian Monk Seal pup-sitting at Poipu, Bruce led all volunteers in numbers of hours contributed by conducting on-site education and outreach nearly every day for seven weeks, at least six hours per day. Bruce Parsil, PhD, is a fulltime Kauai resident and he has contributed countless hours towards education and outreach for the sanctuary. Bruce’s special gifts include an unflagging capacity to share knowledge about Hawaii’s humpback whales, Hawaiian monk seals, and Hawaii’s seabirds, the HIHWNMS and the National Marine Sanctuary with tens of thousands of residents and visitors annually. He is consistently accurate, effective, respectful, and reliable. Bruce reaches a worldwide audience with our sanctuary messages and inspires through words and deeds good stewardship and unselfish service for the betterment of our worldwide community. June Kawamata has supported the HIHWNMS as a volunteer site leader for the annual Sanctuary Ocean Count Project for eleven years straight. As a site leader she has been an educational voice for the Sanctuary as a volunteer for the Ocean Count project, as well as independently during whale season at her favorite whale watching lookout on Oahu, Lanai Lookout. In addition, June has been willing to help the Sanctuary with a variety of other special events when asked. By doing this she has increased awareness of the NMSP, the HIHWNMS, humpback whales, and other marine protected species and seabirds. June Kawamata has committed an unbelievable amount of her time to involve Hawaii, locals and tourists alike, in shoreline whale watching. 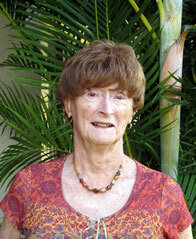 She has dedicated much of her life to humpback whales and more recently to Hawaiian monk seals. One look at June’s life and you know she is a true whale lover and sanctuary supporter. June’s educational messages related to humpback whales and Hawaii’s marine environment come from the heart and show her true commitment to the Sanctuary and marine protection. 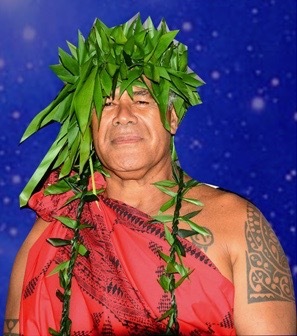 Kimokeo Kapahulehua, known to many as “Uncle Kimokeo”, was named the 2004 Volunteer of the Year by the National Marine Sanctuary Foundation for his dedication and leadership in helping to preserve, protect and promote the Hawaiian Islands Humpback Whale National Marine Sanctuary. The foundation presented the award to Kimokeo, who was selected from a pool of 15 nominees from around the National Marine Sanctuary System, at its third annual Leadership Awards Dinner in Washington, D.C. on June 7. 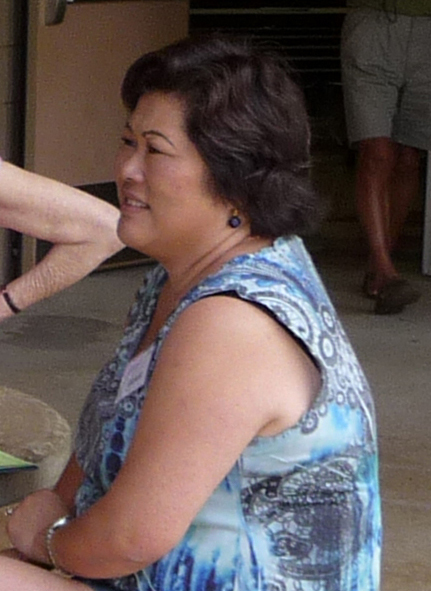 Kimokeo’s extensive volunteer résumé includes sitting on the sanctuary’s advisory council, serving as president of the sanctuary’s non-profit partner Ao`ao Na Loko I`a O Maui, and giving numerous educational lectures and presentations to the public on the value of applying traditional knowledge to protecting Hawaii’s marine environment.